Earlier today, John Patrick Cardinal Foley, 76, died as a result of cancer. 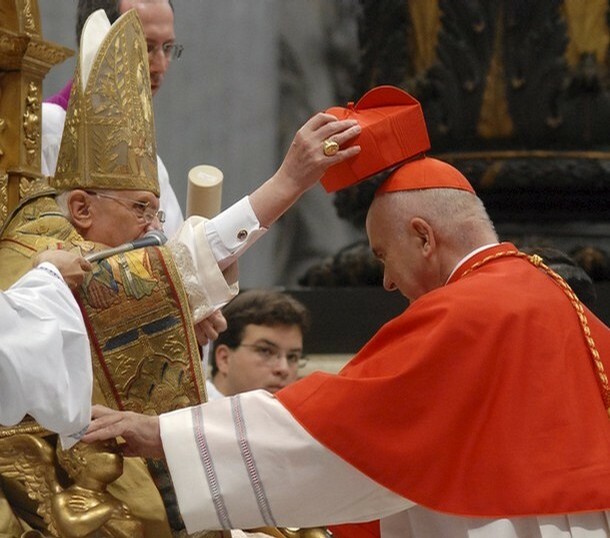 Until February Cardinal Foley was the Grand Master of Knights and Dames of the Holy Sepulchre, and before this, he was the president of the Pontifical Council for Social Communications. He’s universally recognized as the Church’s voice for many years having been the commentator for papal events for 24 years in Rome. A priest of the Archdiocese of Philadelphia for 49 years, Foley was anchored to his home wherever he went. O God, who chose your servant John Patrick Cardinal Foley from among your priests and endowed him pontifical dignity in the apostolic priesthood, grant, we pray, that he may also be admitted to their company for ever. Rocco Palmo has a beautiful tribute to His Eminence here. Bishop Robert Lynch of the Diocese of St Petersburg, FL, wrote a fine recollection of Cardinal Foley. One of the things he brings out is that working for the Church is not easy given the various and personalities who are called to serve the Church. If one virtue Foley exemplified for us it is the virtue of perseverance. No doubt he advanced in holiness with the ill-will of the Church’s middle-management. UPDATE December 12: Here is Pope Benedict XVI’s note of condolence to the Archbishop of Philadelphia, Charles J. Chaput, OFM, Cap. Carol Glatz posted this story on December 12 of His Eminence on the Catholic News Service site. May the Lord be merciful and his memory be eternal.